SKS and AK-47 semiautos are extremely popular, and for good reason. Firing the ubiquitous 7.62 x 39 Russian round, AK and SKS rifles range from highly collectible early Russians to behind-the-pickup-seat plinkers. Their designs are related, and share a robust, straightforward architecture that will survive the meanest abuse. 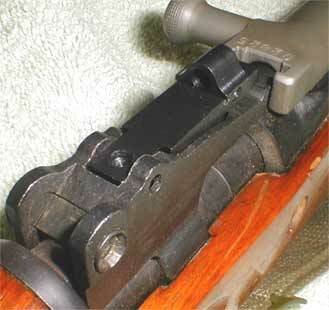 Here's a Mojo SKM mounted on a Chinese Model 56 SKS carbine. ***Mojo MicroClick sights are currently available for AK47 variants only. 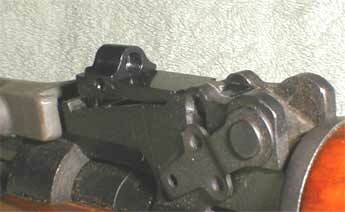 Our SKS sights are screw-adjustable for windage and elevation as shown here.